Introducing Kinesit, Arper’s first office chair that is one hundred-percent compliant with regulatory requirements. Light and minimal in design, the chair seat and back are fully adjustable allowing it to conform to individual body types for optimal comfort, even during more time consuming projects. The chair features a built-in mechanism hidden discreetly under the seat that provides synchronized movement and seat height command. An invisible, adjustable lumbar support is concealed within the backrest’s thin frame to give additional flexibility and comfort. 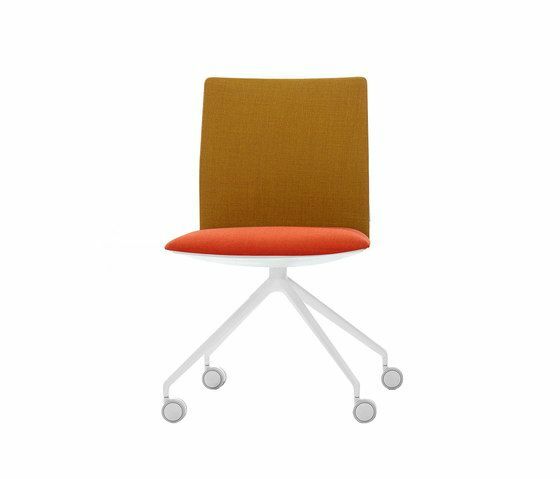 Kinesit is customizable with all fabric collections in Arper’s catalogue. Kinesit Chair is available in three seatback heights and a range of bases, and with or without arm rests for a range of possibilities. A wide selection of upholstery fabrics and leathers in Arper’s full range of colors, textures and tones, or in the standard mesh covering, make Kinesit Chair customizable to diverse design applications and interior spaces. The new model is fitted with a 2D movement adjustable armrest.